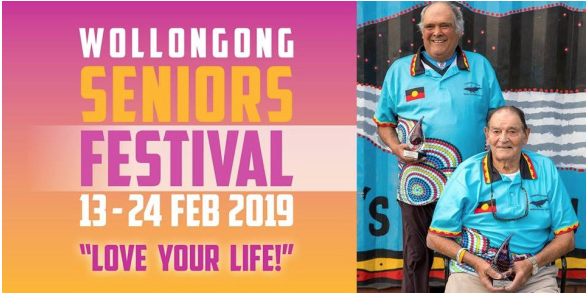 The 2019 Wollongong Seniors Festival will be held from 13 – 24 February- with plenty of events organised to celebrate life for our older residents. Council has supported the Festival for more than 30 years, with thousands of people enjoying new events, learning new skills, trying different experiences and just having fun. There’s a Greek Island-inspired luncheon at the Wollongong Hellenic Club in West Wollongong, a Bush Dance Taster at the Wongawilli Community Hall, walking soccer at North Wollongong, garden discovery tours of the Botanic Garden and watercolour workshops for beginners. The 2019 Illawarra Socratic Lecture at Thirroul Community Centre is also a part of the Seniors Festival. 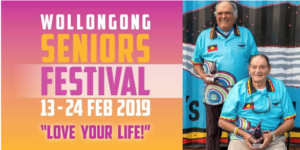 “This year’s festival is packed with great events and opportunities for you to make friends, learn a skill, eat some great food and also try a new sport,” says Wollongong City Lord Mayor Councillor Gordon Bradbery. “Why not check out the program, pick some events and try something new and challenging. There’s plenty on offer. You can download the Seniors Festival program at Council’s website.